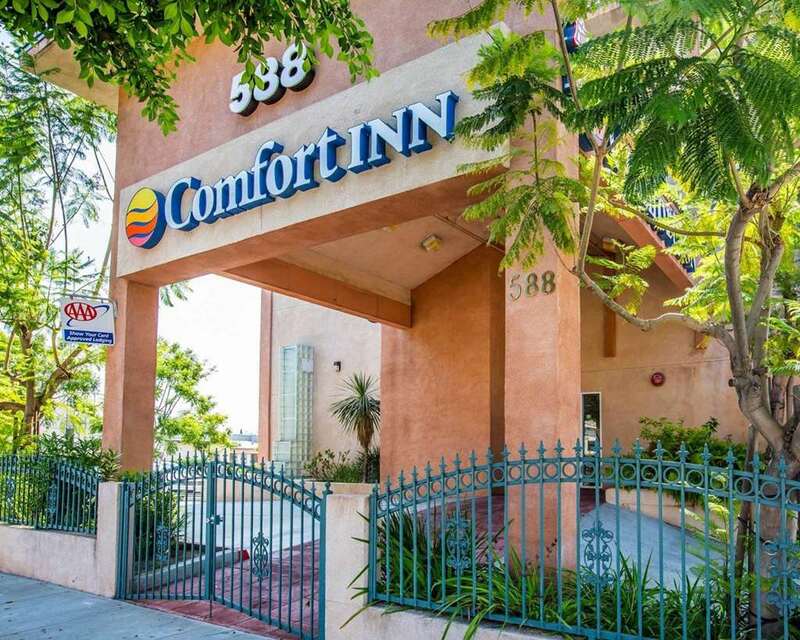 The Comfort Inn hotel in Monterey Park, CA, minutes from Dodger Stadium, will get you refreshed and ready to take on the day with a variety of amenities. Popular nearby attractions in Monterey Park and downtown Los Angeles are Griffith Observatory, Hollywood Walk of Fame, Disneyland and Los Angeles Convention Center. Our leisure hotel delivers amenities that include free hot breakfast, free WiFi, free coffee and bus parking. Each spacious guest room features a hair dryer and TV. Select rooms feature a microwave and refrigerator. Also, earn rewards including free nights and gift cards with our Choice Privileges Rewards program.